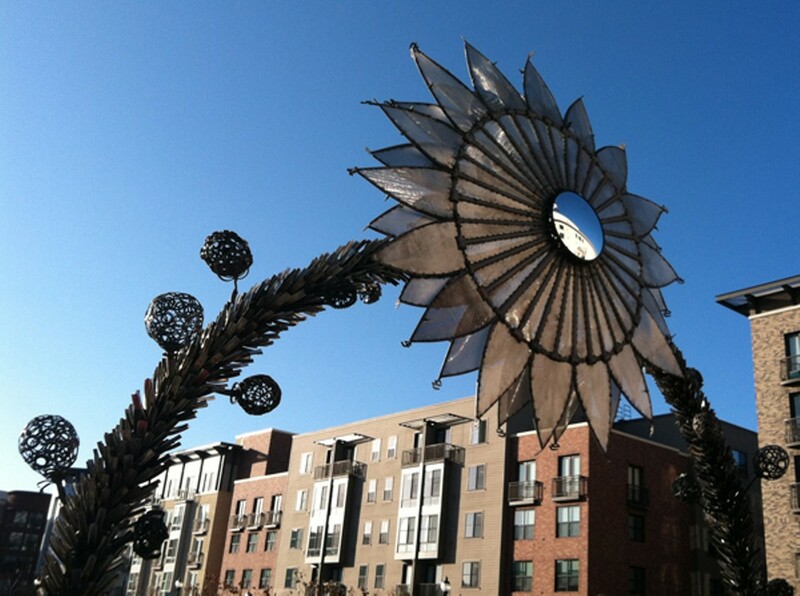 A new sculpture garden in Uptown is a public gallery space of larger proportions. "The Bike Bridge" is the centerpiece of the new installation. In case you've been hiding under a rock since the recession began (and who could blame you? ), Oakland is now a veritable arts boomtown. The city, for the most part, has welcomed this distinction with open arms, to much positive effect: Art Murmur has grown immensely (and then been scaled back due to public-safety concerns), and last month, Oakland was named one of the nation's top twelve "ArtPlaces" by arts-funding organization ArtPlace. Now, the City of Oakland is adding yet another destination to Uptown: its first outdoor sculpture garden, appropriately dubbed the Uptown ArtPark. The idea for the ArtPark began when a redevelopment agency announced in 2009 that the vacant lot on Telegraph Avenue and 19th Street, next door to The Fox Theater, was under consideration to become, among other possibilities, a surface parking lot. Community members, incensed about the loss of such prime real estate, argued for a community-arts-based use of the space. 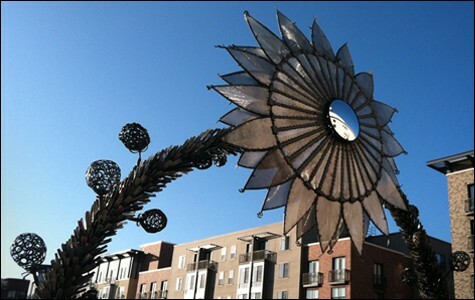 The city, meanwhile, was making plans to place various sculptural art pieces throughout the district, and received a $200,000 grant from the National Endowment for the Arts to be used toward "creative placemaking." Under the terms of the grant, the city matched the NEA's grant with money from its public art fund, and began making moves to create a dedicated outdoor arts space with a rotating exhibit of sculptures. "There's a really vibrant community of industrial artists in Oakland, but we'd heard that many of the artists have trouble displaying these large-scale pieces outside of Burning Man," said Steve Huss, the city's cultural arts manager. "They're making art in Oakland, and yet they're having trouble displaying it here." The end product is basically an outsize art gallery, and one that is well suited to the slew of outdoor events the city hopes to stage around it. The opening exhibit, themed "Repurposed," will be formally unveiled on Friday, April 5. (The name refers to both the materials used and the new use for the vacant lot.) The event will feature a group bike ride to the event from West Oakland, live music by students from the Oakland School for the Arts, a ceremony to honor the artists and community members who helped create the space, and, of course, food trucks.